It’s Mother’s Day on Sunday, so how will you be treating your Mum to show her how much you care? How about kicking off the day and surprising her with breakfast in bed? Our selection of continental pastries will certainly hit the spot! Choose from All-butter Croissants, Blueberry Plaits or a Chocolate Danish Twist to name but a few. Simply bake in the oven for a few minutes. Followed by a freshly whizzed up smoothie made with frozen berries. We love this Summer Berry Smoothie recipe. Why stop at breakfast? Let Mum have a whole day off cooking, so that she can sit back, relax and put her feet up. You can’t beat a roast on a Sunday, especially Mothering Sunday! 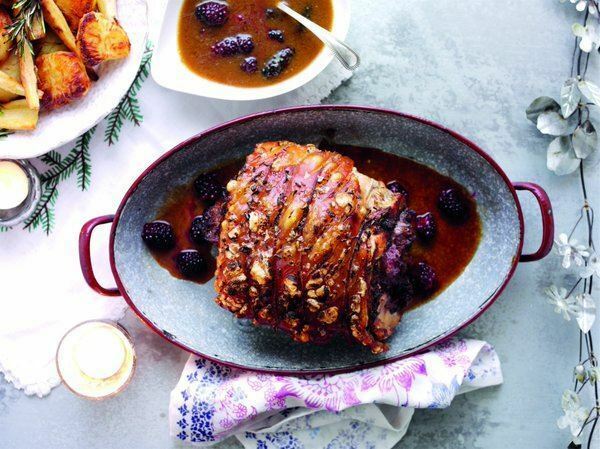 Delicious Roast Pork with Crispy Crackling & Bramley Apple Sauce or Blackberry & Gingerbread Roast Pork are two recipes that are mouth-wateringly good. Served with field fare Roast Potatoes, Farmhouse Veg and good old Yorkshire Puds. Followed by a classic Rhubarb and Ginger Crumble or for the chocoholics amongst you a Chocolate Brownie Sponge Pudding with Chocolate Sauce. Mmmm divine! Why not cook a selection of our cookies to accompany coffee in the afternoon. Choose from Double Chocolate Chip, Plain Choc Chip or White Choc Chip & Pecan. Made from pucks of frozen dough that bake in the oven in just 20 minutes. So go on, spoil your Mum this Mother’s Day and make it a day to remember!